Could you imagine being so beloved that people are getting your character’s image tattooed on themselves? Katheryn Winnick can. 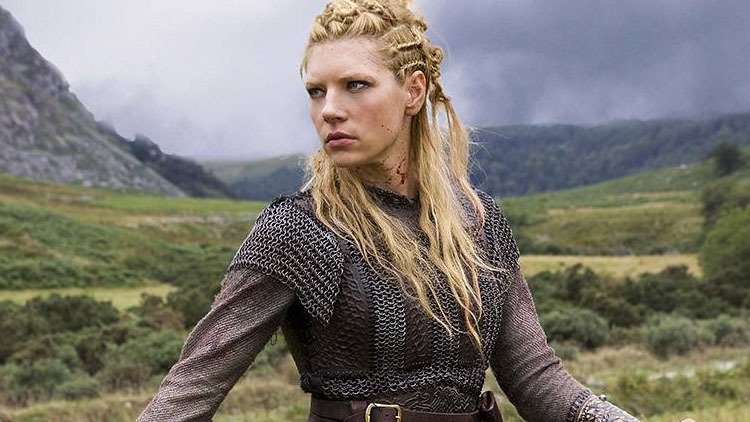 Starring in History’s hit series Vikings, Katheryn portrays Lagertha, a sword-wielding ‘shieldmaiden’ and powerful role model for the show’s expansive demographic. Vikings follows the story of a Norse hero and the legendary sagas of that era, featuring many bloody battles set against on-location scenic backdrops. As a real-life martial arts black belt holder, Katheryn gets to implement authentically badass skills into her now day-to-day life. As Lagertha, Katheryn has garnered an assortment of award nominations and gained worldwide recognition. With an extensive filmography and roles alongside, how you say, “Hollywood hunks”, one of Katheryn’s first roles was a guest spot on Student Bodies; a high school sitcom that every Canadian 90s kid should remember. Katheryn’s upcoming projects include sci-fi action thriller Geostorm and a film adaptation of Stephen King’s The Dark Tower. Vikings returns for the second half of its fourth season on November 30th. If your life were a reality show, what would it be called? Go go go. Seems like that is my life now. Constantly on the go. Who might’ve you been in a past life? Not sure if I believe in past lives, but I would have loved to live in the 1920’s in New York. What posters covered your childhood bedroom walls? I didn’t have any posters but I had hundreds of glow in the dark star stickers plastered all over my walls. When I went to sleep I was transported to another universe and started day dreaming of the endless possibilities. It’s a great way to teach your kids to dream big and reach for the stars! If you were a donut what kind would you be? Who wants to be a donut? But I would love to eat a gluten-free apple fritter if someone can figure out a good recipe for it. Create a Roller Derby name for yourself. Traveling around the world and exploring different cultures. Living or dead, who would you invite to a dinner party? Where do you see yourself in 10 days? Still on set shooting Vikings… Now in the snow. Follow Katheryn on Instagram and Twitter.